Will A Dash Cam Help My California Car Accident Claim? We live in the golden age of video. Just about every mobile device, laptop, and tablet, is equipped with a camera. Thanks to Amazon, video cameras built into closets and alarm clocks, may even become commonplace. In this hyper-connected video age, it’s possible to record yourself doing anything at any time, including driving. Historically, dash cams have been primarily used by law enforcement, but that trend is changing fast. As drivers become increasingly more safety conscious, more and more Americans are starting to install dash cams in their cars. There are now three times more searches for dash cam related terms than there are searches for autonomous driving. If you’re considering buying a dash cam, or you already own one, you may be wondering what the benefits are and if a dash cam can help in the event of a car accident. It just so happens that there are many benefits to owning a dash cam. In fact, dash cams are so beneficial, that Megeredchian Law is offering a free dash cam in our most recent giveaway (more details below)! 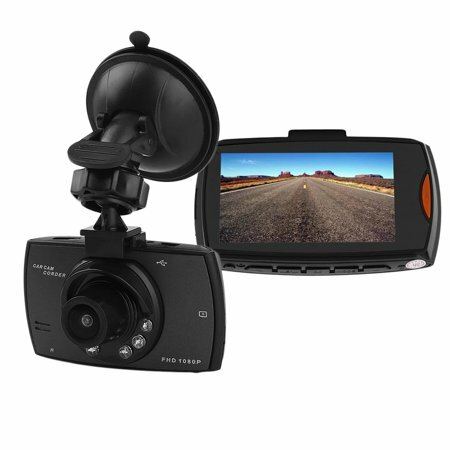 For those that don’t have a dash cam, Megeredchian Law is giving away a 1080P 2.7” TFT LCD dash cam. Simply fill out the form below with your email to enter into the giveaway. Submissions will be accepted until Sunday, November 18th. The giveaway is open to all legal US residents who are 18 or older. A winner will be randomly selected and notified by email on Monday November, 19th. *The dash cam giveaway is open to legal residents within the United States. Entrants must be 18 years or older to win. Personal information provided is for the giveaway and will not be used for marketing or promotional purposes. Your email will only be used to contact you about the giveaway and will not be sold to third parties. Ultimately, in the context of car accidents, there are two major benefits to owning and using a dash cam. 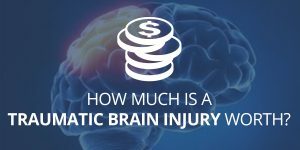 When you’re involved in an accident with one or more additional drivers, you’ll likely be amazed at how vastly different each individual’s account of the accident is. Even witnesses, who have no bias to emit or hide important details, can inaccurately recall the accident. A dash cam offers a complete recording from your perspective of the accident, so you can revisit exactly what transpired down to the tiniest detail. When witness statements conflict each other, you’ll be incredibly thankful you had a dash cam recording everything. It’s unfortunate, but insurance fraud is a huge problem on US roads. Some drivers will purposely cause accidents with an unexpecting victim and fake injuries to blame the victim and earn an insurance payout. Without visual proof that the victim was innocent, these scams can sometimes work. A dash cam can be used to prove that you were not to blame for an accident, which can help protect you from becoming a victim of insurance fraud. Are Dash Cams Legal In California? The lower right-hand corner of the windshield: The camera can be placed in a 7-inch square in the lower right-hand corner of the windshield. The lower left-hand corner of the windshield: The camera can be placed in a 5-inch square in the lower left-hand corner of the windshield. The upper-center portion of the windshield: The camera can be placed in a 5-inch square in the upper-center portion of the windshield. Most dash cams also come equipped with audio recording, which raises privacy concerns. A driver must post a visible notice for passengers that their conversations are being recorded. If the passenger does not consent to being recorded, audio recording must be turned off. Dash cams vary in features and price. They can range anywhere from $30 for low-end models to $800 for the very best the market has to offer. All dash cams record video, but not all dash cams record sound. Certain dash cams may also include night vision, GPS, dual camera recording, wi-fi connectivity, and more. Loop Recording: If the cam has a looping feature, it will automatically record over old video you no longer need. This feature ensures you’ll never have to manually delete data, so you’ll always be recording. G-Force Sensors: This feature is worth having for cameras that record on a loop. The g-force sensors can detect an accident and save that footage, so you don’t accidentally record over the accident data. Ample Storage Space: You can always buy a separate micro SD card, so it’s not entirely important that your dash cam comes with a large one. Still, you should take storage space into consideration. On average, an HD dash cam can only save 2-3 hours of recording with an 8GB card. Ideally, you’d want to be able to store at least 6-12 hours of driving. Therefore, you’re better off with a memory card that stores 32GB or more. Heat Tolerance: Heat tolerance is an important consideration in California. Because your dash cam will be mounted on your windshield, it will receive the full glare of the California sun whenever you’re driving. Harsh temperatures can sometimes cause deterioration of the electronics. Thus, you should consider finding a camera that can withstand high temperatures. Most low-end cameras are not heat resistant. Motion Detection: Motion detection is extremely useful when your car is parked. Cameras with a motion detection feature will immediately start recording in the event of an impact or break in. If the dash cam has wi-fi capabilities, it will even send an alert to your phone. Lane Departure Warnings: If you happen to get distracted while behind the wheel, many dash cams come equipped with lane departure warnings to let you know when you veer off course. Of course, attentive driving is the best preventative measure for an accident and lane departure warnings should never be relied on. 170-180 Viewing Angle: A vehicle can hit you from any angle, so a wider recording view is always preferred. Certain dash cams can record at an angle of up to 180 degrees. Some cameras even allow dual camera recording so that you can record both in front and in back of you. GPS: Cameras equipped with GPS can store speed and location details so you can prove the speed you were going and where you were when an accident occurs. Do Insurance Companies Consider Consider Dash Cam Footage? Despite the growing popularity of dash cams and the benefit they provide in car accident cases, auto insurance companies have been slow to embrace the digital footage. Most insurance companies don’t mention dash cams at all in policy documents or on their websites. Many companies equate video footage to photographs and don’t give any additional weight to video evidence. Insurance companies craft intentionally vague statements on dash cams so that they can argue they’re not useful when the footage is being used against them in court. The use and review of dash cam footage will be largely dependent on the individual adjuster handling the claim. When fault is unclear, it can be difficult to provide proof related to how the collision occurred and what factors were at play. 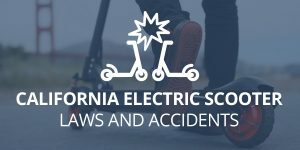 Law enforcement officials and insurance companies will often try to reconstruct an accident based on skid marks, lighting, weather conditions, visible accident damage, and witness statements. These sources of evidence don’t always paint a very clear picture. However, a dash cam can provide a crystal clear picture of what happened in the events transpiring before and after your collision. Furthermore, dash cam evidence is admissible in California courts and can be used in your car accident case. Moreover, if the other driver attempts to deny or cover up certain negligent behaviors such as having an open container of alcohol or texting while driving, the dash cam footage may actually be able to prove otherwise. There are several common accident case types where a dash cam can provide great value. Did a driver negligently run a red light? They may argue the light was yellow or it was actually you that had a red light. If you’re relying on witnesses, they may not correctly remember who had the right of way. These disputes can be easily resolved with a video recording. A sideswipe occurs between two vehicles traveling in the same direction where one vehicle impacts the side of the other. 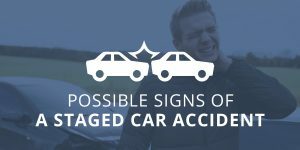 Sideswipe accidents typically occur when one vehicle changes lanes in an unsafe manner. In certain cases, it can be easy for the other driver to place some or all of the liability on you with lack of video evidence. The driver may argue you sped up as they were changing lanes or that they used a turn signal when they really didn’t. Dash cam footage could easily disprove these claims. Left turns at an intersection are one of the most common types of accidents. Like red light disputes, left turn accidents can lead to heated disputes. A driver could argue that they had a green arrow or the arrow was yellow when they ran a red. Alternatively, you could have a green turn arrow that another driver disregards. A dash cam would capture those details to avoid these disputes. At the very least, a dash cam can prove that an accident actually occurred in hit and run situations. If you’ve invested in a high definition camera, you may even be able to record the plates of the negligent driver who drove off. Most individuals spend anywhere from $60-100 a month on security cameras or alarms for their homes. Yet, your chances of ending up in a car accident are far higher than being burglarized. Approximately, one in thirty-six US homes will be burglarized. On the other hand, the average american will end up in a car accident, not just once, but once every 17.9 years. Considering the statistics, purchasing a dash cam for a one time cost equivalent to what you spend on home security is a no brainer. If you’re lucky, you may win our giveaway and receive a dash cam for free! Regardless of whether or not you have dash cam footage, Megeredchian Law can help you recover after an accident. Our car accident attorneys can review your crash, conduct an investigation, and put together a case that will earn you the compensation you deserve. Contact Megeredchian Law today by filling out the online form or calling (888)243-2050 to schedule a free initial consultation. What Happens When You Get In An Accident Using Turo, Maven, Or Getaround?